The influence H. P. Lovecraft had on the world of literature, art, music and other kinds of media is rather hard to overstate; countless have inspired themselves from his timeless and horrifying works generally centered around unstoppable and indescribable terrors lurking beneath this world, generally leading his characters into madness, leaving them to a fate worse than death. 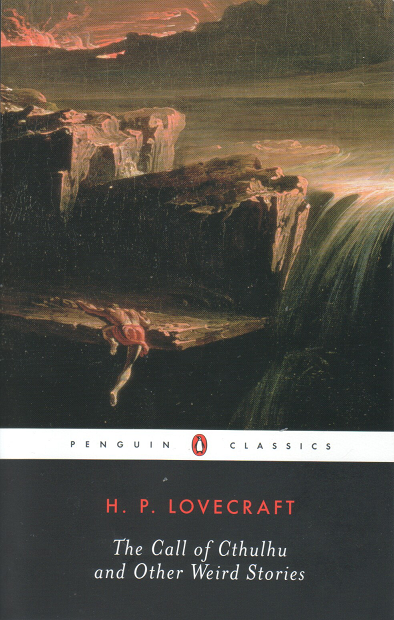 It is rather hard to choose one single work as being the quintessential one which should be read by all, which is why Call of Cthulhu and Other Weird Stories by H.P. Lovecraft was put together. It is not uncommon for geniuses to be so far ahead of their time that some of their most celebrated works were shunned back in their times. For instance, take the literary classic Ulysses by James Joyce, a real game changer, one of the true pioneers of modernism, helping to bring about a new era in literature. However, as Kevin Birmingham details it in his account of the book's chaotic story, titled The Most Dangerous Book, Ulysses's strength and originality also wound being its weakness; the vivid detail with which everything was described and the lack of “leaving things up to the imagination” led most to see the novel as something utterly obscene that shouldn't even see the light of day. 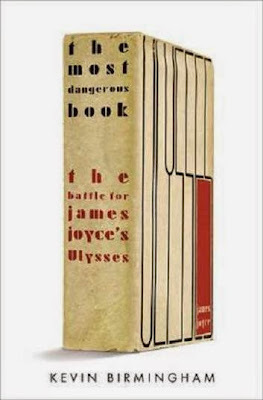 And so began a decade-long gauntlet of legal and personal battles for James Joyce and his publisher, Bennett Cerf, in hopes of getting the book past the censorship it was subjected to. The experience of immigration is one that is rather hard to convey in its entirety, with all the troubles, thoughts and emotions in brings about; it is one of those things that needs to be lived through personally so as to be absorbed completely. 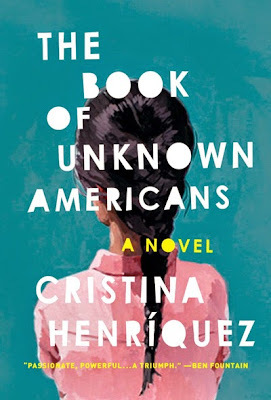 Nevertheless, it would be unrealistic and rather unreasonable to ask everyone to become an immigrant for the mere sake of making them understand; thankfully, numerous authors have taken it upon themselves to translate this experience into words, and that is what Cristina Henriquez did, at least in part, in The Book of Unknown Americans. Virtually every writer out there is going to have a different story to tell about what got him or her started down the path, and what finally gave them the push to take it to the next level. 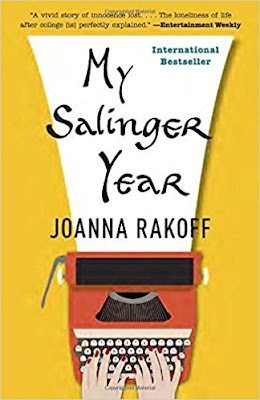 Admittedly, some of these stories are going to be a bit more banal than others, but there is certainly no shortage of extraordinary ones, such as that of Joanna Rakoff, at least if it was all as detailed in My Salinger Year. In that autobiographical effort, Joanna Rakoff recounts her life at the end of the 1990s in a New York that was still very strongly-geared towards literature. More precisely, she discusses the time she spent acting as J.D. Salinger's assistant, all the times she spent with him, and the places such a prestigious post in life took her. A big part of the book is devoted to not necessarily Salinger himself, but the people he contributed to shaping, his fans. You see, Rakoff strayed from the beaten path and decided to actually start replying to the innumerable fan mails Salinger received on a daily basis, pretending to be his voice. It is within that process that her metamorphosis began, her self-realization as a writer. Most of the wars we hear about are either against some kind of concept, such as the war on drugs or the war on terror, or wars which are fought on land, in the sea, and in the air. However, there are more subversive and covert wars happening out there, or at least, that is the premise of The Ascendant, Drew Chapman's debut novel. In it, we are presented with a scenario where a man by the name of Garrett Reilly notices something no one else has: America is under attack, under threat from every perspective, and yet no one is the wiser. His “knack for numbers” allowed him to see patterns everyone missed amidst the countless transaction digits, patterns which told him that two hundred billions are being sold off surprisingly fast in the form of treasury bonds. Raising the alert about this invisible enemy, Reilly finds himself at the head of a squad of rogue soldiers, destined to be the last front in perhaps one of the most unconventional types of warfare there is out there. 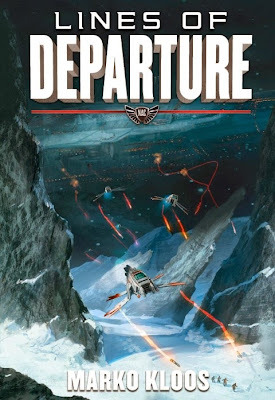 Lines of Departure by Marko Kloos is a direct sequel to Terms of Enlistment, though the former can certainly be enjoyed with no knowledge of the latter. Nevertheless, I do recommend reading the books in order. In any case, this time around we follow once again Andrew Grayson as he finds himself assigned to a ship bound to some distant colony, one where humanity's worst nightmare won't ever find them. Naturally, life on the ship is far from being idyllic, especially with ever-mounting concerns of what will happen to Earth in the face of this unstoppable doom looming on the horizon in the form of intergalactic invaders from origins unknown, far superior to humanity in every aspect. As one would expect, Grayson eventually becomes intricately-linked to the survival of his species, one of the few truly crucial pegs in the mechanism. 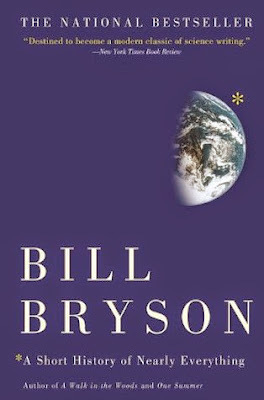 We bid you all welcome once again to Gliding Over the World of Literature, with this already being our 58th foray into the endless expanse that is the realm of books. This time around, we will kick things off by exploring literature as a propaganda device, mainly through a somewhat strange plan to distribute Doctor Zhivago in the Soviet Union. Following that, we will check out how works of literature can evolve peculiarly, most notably James Patterson's “Maximum Ride” books becoming a YouTube series. Finally, we will take a bit of time to look back many years into the past and reminisce about the importance of The Symbolist Movement. An overwhelming majority of people rightfully consider themselves as being peaceful citizens who wouldn't be capable of committing acts of unspeakable terror. There are many who believe that they are incapable of doing such things because their nature simply won't allow them to, no matter what happens. 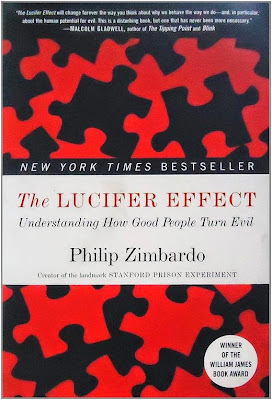 Perhaps that is true for a small number of them, but as Philip Zimbardo's famous Stanford Prison Experiment demonstrated it, chances are evil lurks within every single one of us, waiting for its chance to burst free. Detective novels generally follow rather capable protagonists, even if some of them are doomed on occasion or ridden with numerous flaws and such; their minds are, in an overwhelming majority of cases, intact. 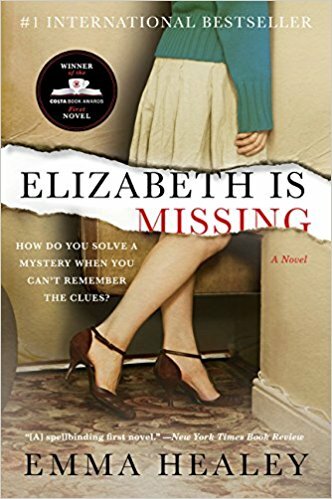 When a detective story takes a turn like Elizabeth is Missing by Emma Healey does, things get quite interesting indeed. In this story, were presented with an aging grandmother as a protagonist, and her dementia is progressively getting worse. 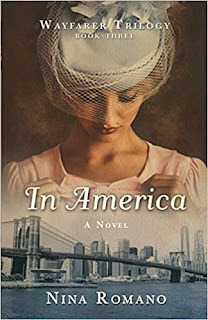 She is convinced that her best friend Elizabeth is missing and in grave danger, but due to her condition none around her will listen, prompting her to take off on a solo journey to do what she believes needs to be done. 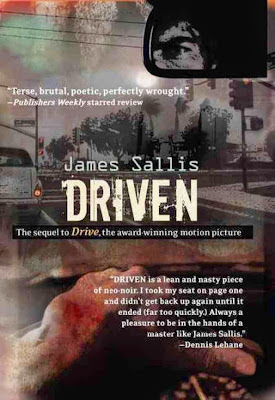 Drive by James Sallis was certainly, in my opinion at least, a rather noteworthy novel, which goes double when viewed through the eyes of noir enthusiasts. Though the fate of Driver is forever sealed as the one who goes down in a Tijuana bar at 3 AM, there were still many adventures to be had and trails of corpses to be left between now and then. Driven is the sequel to the first novel, taking off a few years after the events of the first book. It opens with the murder of Elsa, the love of Driver's new life started from a clean slate, by some mysterious hitmen whom the latter quickly disposes of. Amidst the many questions we ask ourselves when man-made tragedy beseeches us, the following one is often found amongst the forerunners: why has no one stopped it? 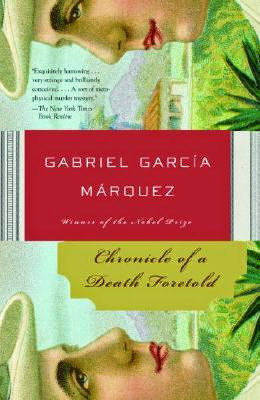 The human nature can certainly be a curious one, and in Chronicle of a Death Foretold Gabriel Garcia Marquez explores that aspect of it. We follow the journey of a man who returns to his hometown twenty-seven years after the brutal and public murder of Santiago Nassar. Those responsible were absolved by the Priest and only served three years in jail. Life then went on as normal in the town. The questions driving our inquisitive protagonist can be summed up as follows: why did no one intervene when all knew the murder was happening beforehand, and whether or not Santiago Nassar was indeed even culpable in the first place of the crime he was accused of. There are two sides, at the very least, to the world of politics. First, there is the one made to be presented to the public, sanitized and crafted to perfection... and then there is the other side, the one where decisions are made, the one where things get seedy and dirty. There are countless stories boiling behind the scenes of politics, far too many for us to ever know about them all. 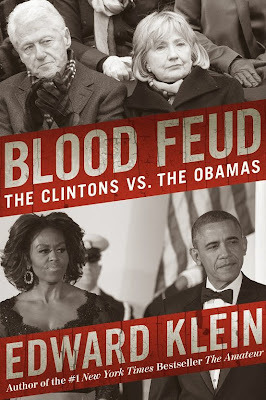 In Blood Feud, Edward Klein delves into perhaps what is one of the more interesting behind-the-scenes stories, that of the rivalry between the Obamas and the Clintons. Good day to you all, we bid you welcome to the 57th issue of Gliding Over the World of Literature, and in honor of the 100th anniversary of the publishing of James Joyce's Dubliners we will begin by looking at an homage to him. Following that is a semi-humorous interview with David Baldacci where he is explored as a conspiracy theorist. To finish things off, we will delve into the darker side of literature and humanity with a list of four books which had their meanings taken too far, leading to unspeakable tragedies. Maps have held a rather important place in most of human history, serving as indispensable navigation tools through this vast world, and in some cases, leading to something very specific, something most people hope to be treasure. What many people do not realize is that the maps themselves are often worth a fortune, and are more important than the destinations they allow people to reach. And so, an entire criminal underworld was formed around the idea of stealing rare maps. 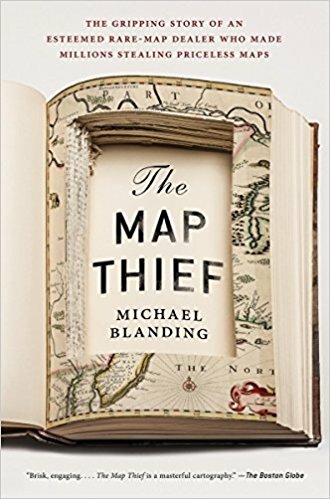 In The Map Thief by Michael Blanding, we are taken knee-deep into that world, or more precisely, Forbes Smiley, a former respectable antiquarian who turned to his particular life of crime, seeing the enormous potential it held for him. Blanding takes great care to amass all the information necessary to convey the man's story, ranging from the history of various maps to interviews with those who are in any way related to this trade or to Smiley himself. In other words, Blanding tries to bring us the most complete look possible into a rare world, one which had its existence kept as a secret to most of us.